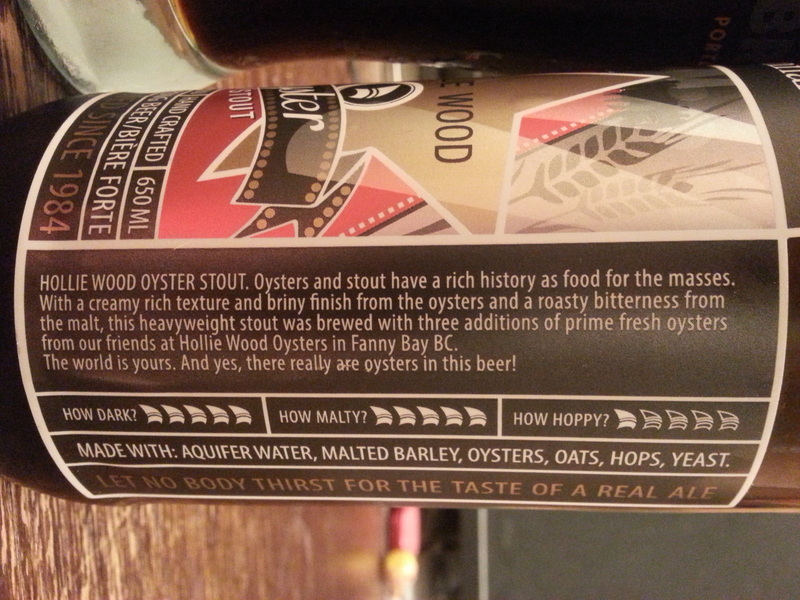 Hollie Wood Oyster Stout – Spinnakers Brewpub (Victoria, BC, Canada) | Justintoxicated. Ingredients: aquifer water, malted barley, oysters, oats, hops, yeast. Visual: Pours dark brown with almost no head, thin ring with thin haze on top, no visible activity. Finish: chocolate syrup, mild “fishy” oyster/ocean exhale. Summary: Quite drinkable, but the sweetness compounds after multiple sips. Two-note at best, more carbonation/creaminess needed to liven it up.